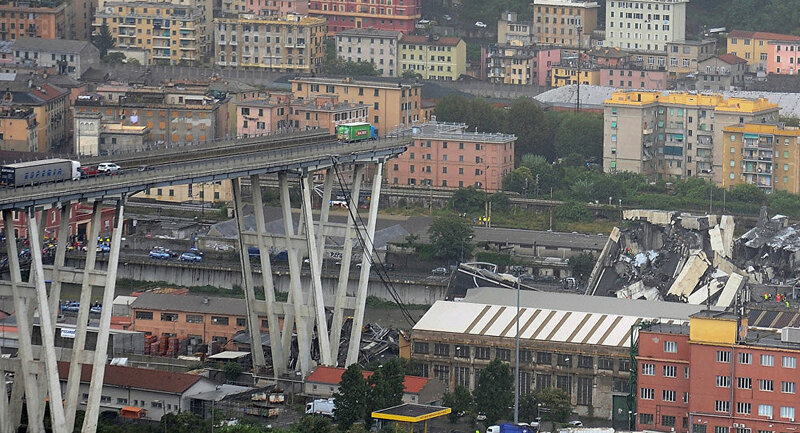 Earlier today, the Morandi Bridge (Ponte Morandi) in Genoa, Italy collapsed killing at least 22 people and injuring many others who were traveling on this road at the time. More than 200 firefighters and first responders were called to the scene. Built in 1967, the bridge is one kilometer (3,615 ft) long and 90 meters (300 ft) tall and is one of the main two gates to Genoa, the sixth largest city in Italy. The bridge is located on the busy A10 motorway which links Genoa’s city center to the airport and the rest of the Liguria region to the Italian-French border. In other words, everyone traveling to or through the Genoa area has certainly passed this highway bridge. Although the cause of the collapse is not known yet, authorities issued storm advisories this morning for the area. According to the Italian Civil Protection Agency, more than 30 cars and about ten trucks were on the viaduct when a 200-meter section of the bridge collapsed on a stream and rail tracks located in the valley below. People traveling in the region should seek alternative routes and avoid the bridge area to mitigate disruptions. Drivers should also allow more time to travel around Genoa. Travelers should monitor local media sources for any further information on the incident and associated travel disruptions. Train traffic is expected to be heavily disrupted as the bridge collapsed on railroads. Travelers should call their travel agency and railroad company for updates on train schedules. Travelers flying out of Genoa should leave for the airport well in advance to avoid traffic and delays. 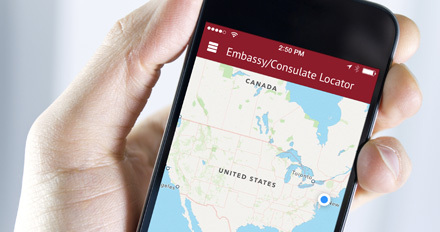 Our free Apps for iPhone and Android give you instant access to a wide range of assistance including one-touch call to our 24/7 Emergency Operations Center, travel alerts, pre-trip information, and more. For more information, contact Assist America at the number on your membership card, or via e-mail at services@assistamerica.com. For pre-trip information: Assist America members can view pre-trip information on the Assist America website, www.assistamerica.com. Log in using your Assist America reference number. Interested in learning more about Assist America? Please visit us at www.assistamerica.com. Tell a fellow traveler about the newsletter and show them how to subscribe online! Interested in having your organization becoming a member of Assist America? Please e-mail us at sales@assistamerica.com. The content of this edition of AssistAlert is for informational purposes only and is not intended to replace further investigation or personal observations. If you are planning travel, or are traveling in or proximate to the locations identified in this newsletter, you are encouraged to contact SecurAssist for additional information.